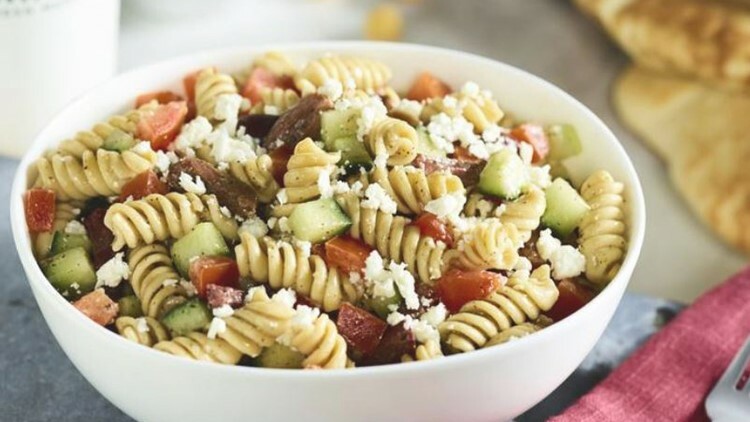 Garbanzo Mediterranean Fresh has opened its second Missouri location in Creve Coeur. ST. LOUIS — A Denver-based fast-casual chain that counts Michael Staenberg as a member of its board has opened its second Missouri location in Creve Coeur. The restaurant already has a location in Clayton, which opened in 2017. Garbanzo Mediterranean Fresh is located at 810 N. New Ballas Road and opens at 10:30 a.m. Wednesday. Mid County Real Estate owns the property, according to St. Louis County real estate records. "St. Louis is a killer market with an incredible food scene that is often overlooked," CEO James Park said in a statement. "From Danny Meyer and Shake Shack to world famous BBQ, a lot has originated in St. Louis and we are thrilled to join the charge." Park, along with Director of Marketing Devin Handler and Staenberg, will be in attendance at the grand opening Wednesday. The first 100 guests will receive a free signature stuffed pita. Garbanzo in Creve Coeur will feature staples like Teatulia organic iced tea and a bakery area where guests can see their pitas being baked, officials said. The restaurant will be open Monday through Friday from 10:30 a.m. to 9 p.m., and Saturday and Sunday from 11 a.m. to 8 p.m.
St. Louis real estate developer Staenberg first joined the Garbanzo board in 2014. Park and Handler are both St. Louis natives. The company has 31 Garbanzo restaurants systemwide.